Rome, the Eternal City evokes wonder and admiration. So do its many pontes. A languid stroll along one of the bridges in the twilight hour is magical indeed! Graced by beauty and powered by ace construction, the pontes in Rome are the focal point of the city’s pride and glory. Admire them anytime, anywhere and be left awestruck! Here’s a comprehensive list of the 3 Most Beautiful Bridges in Rome: grab your significant other, take a leisurely stroll down the bridge and soak in the last rays of orange-hued sunshine falling on the Tiber River, creating mesmerizing reflections, before the sun sets behind the ancient city’s domes and pillars. Probably a cobbled footbridge at first, Ponte Milvio is not just one of the most ancient bridges of Rome! It’s a keynote historical site, where the Battle of the Milvian Bridge took place in 312, and was once of high strategic and economic importance during the glorious Roman era. Later, the ponte turned out to be an eternal symbol of love. Couples pledged their love with a padlock and threw the key in the waters of Tiber. But it seems nothing lasts forever. In 2016, the Roman authorities stepped in and removed thousands of padlocks as they were causing permanent damage to the ancient crossing point. Nevertheless, the site is still very popular, and thousands of tourists flock here to see how the calm waters of Tiber River nonchalantly zigzags the Eternal City. A must visit! 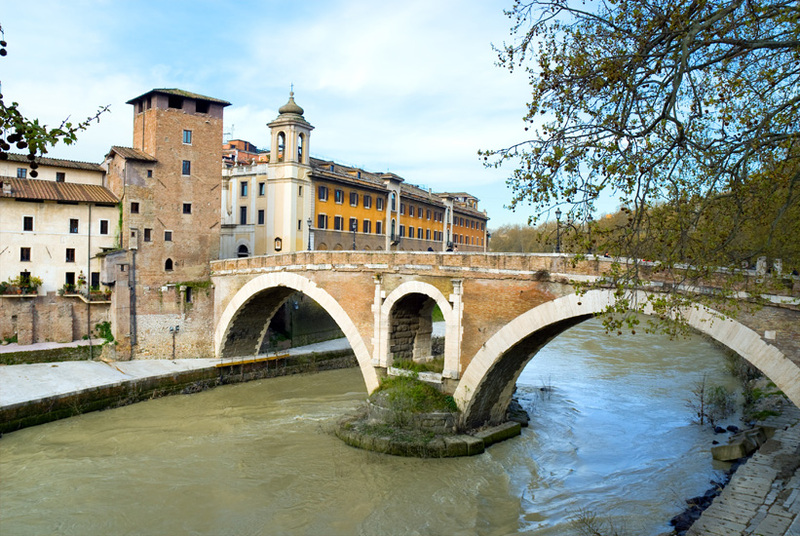 Connecting the hip night-life zones of the city to the quaint yet trendy neighbourhood of Trastevere, Ponte Sisto is an iconic Roman bridge, built in 1400 AD. It is ancient, beautiful and one of the much frequented pedestrian bridges in Rome. 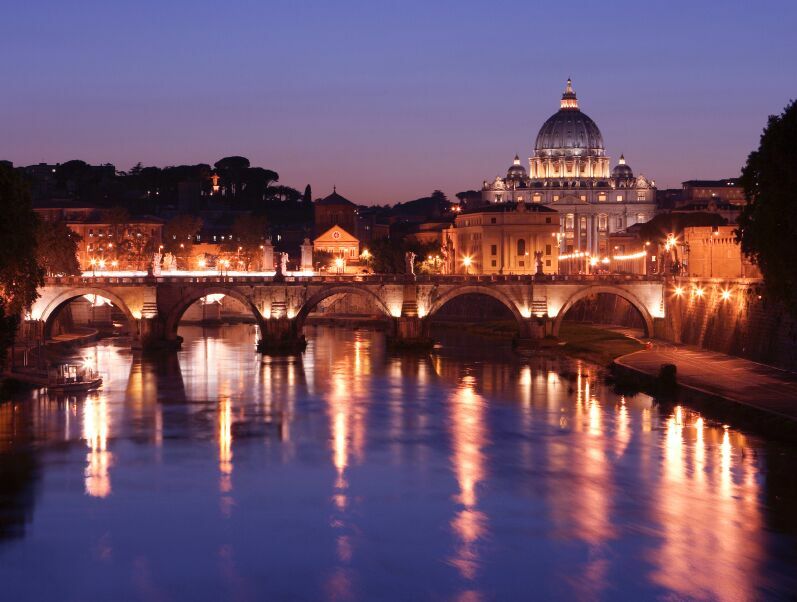 A walk over the bridge offers stunning panoramas of St. Peter’s Basilica and quintessential Roman skyline – gorgeous sunsets, mesmerizing views and amazing crowd will for sure cheer your walk! Ponte Fabricio is the oldest standing bridge in Rome, dating back to as far as 62 BC. 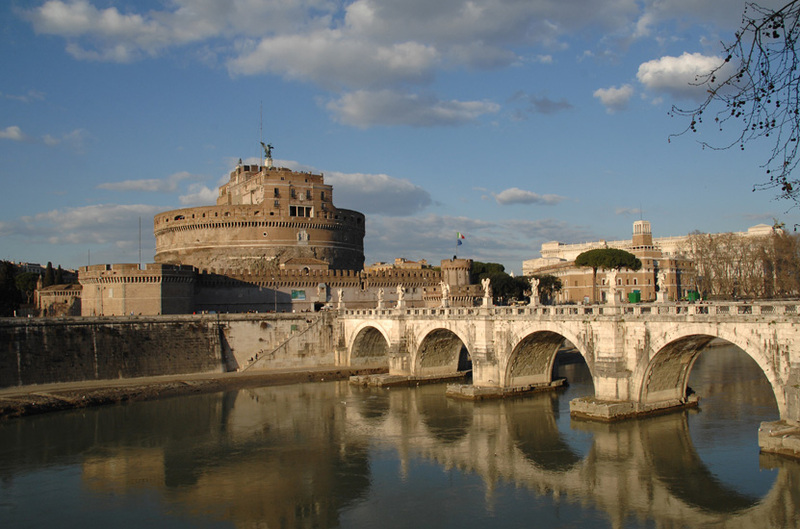 It links the Jewish Ghetto and the Isola Tiberina, the Tiber Island. Quite surprisingly, it is still being used continuously by pedestrians, and exists in its original state. Yes, it does! The locals call it ‘Ponte dei Quattro Capi’, which means the bridge of the four heads –the bridge is guarded by two marble pillars of the two-faced Janus heads on the parapet. According to the legend, during its construction, Sixtus V sentenced 4 architects to death by beheading due to some inappropriate behaviour on their part. In their loving memory and honour, the pope authorized the construction of these marble pillars. Intriguing, isn’t it?! Now, imagine wandering along the bridge all the way to the sunset <thrills>! We know there are countless wonders to explore in the Italian capital! But for now, we’ve curated this for you. If you are interested in Private Tours of Rome for Families, we can help you. 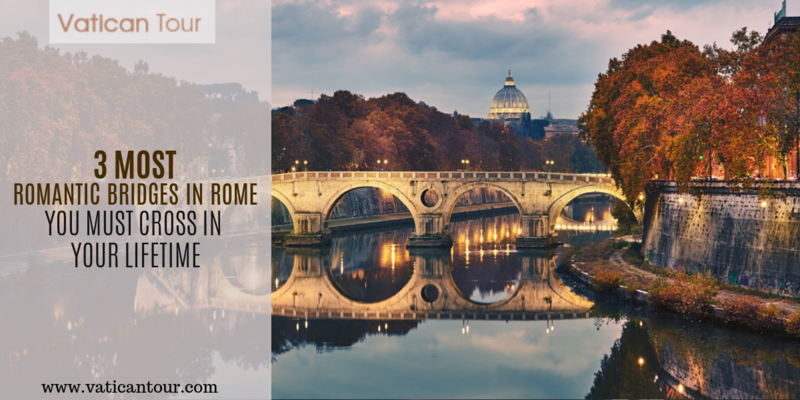 We arrange hassle-free Rome Evening Tour La Dolce Vita – our local English-speaking guides will navigate you well through the gorgeous piazzas, fountains and monuments, while the dusk envelops the city. For more, check out our official website today!